Shalom uvrakha, and all good wishes. 1. Devora Chait, our Campus Fellow at Queens College, has been involved in organizing a rally on behalf of the Uyghur Muslims in China. She wrote the following paragraph, and hopes that you will attend if you are able to do so. According to the latest UN estimates, China has imprisoned approximately 1 million Uyghur Muslims in concentration camps referred to by the Chinese government as “re-education camps”. Former inmates of these "re-education camps" report torture, humiliation, political indoctrination, and repression of religious freedom. China's explicit attack on human rights, human dignity, and freedom to worship God continues to oppress thousands of people, yet the American public has remained relatively quiet. As a people who strive to actualize the ideals of צדקה ומשפט, righteousness and justice, in this world, we have a responsibility to defend those who worship God against those who would prevent them from doing so. Congress has recently proposed a bill, the “Uyghur Human Rights Policy Act of 2019”, recommending that the U.S. State Department impose targeted sanctions against China to condemn their human rights violations. In order for Congress's bill to be effective, it requires public support. We therefore ask you to come on Tuesday, February 5, 12:00 PM to a rally in front of the United Nations, at 799 United Nations Plaza, Manhattan, to demonstrate that the American public does not tolerate China's religious persecution of Uyghur Muslims. We are a people who have faced religious persecution over centuries, and we will not stand by as a religious minority faces relentless oppression at the hands of their government. By coming to this rally, you will be taking a concrete step towards upholding the Jewish ideal לְתַקֵּן עולָם בְּמַלְכוּת שַׁדַּי and speaking out against religious intolerance. For more information about this rally, go to http://uyghurrally.org/, or find the "Uyghur Rally" event on Facebook or Eventbrite. 2. The Institute for Jewish Ideas and Ideals offers you the following publications free of charge. If you'd like any or all of them, please email mdangel@jewishideas.org, indicating which you'd like and the address to which the publication/s should be mailed. This offer is good until February 15, and while supplies last...so please order promptly if you are interested. 4. If you'd like to submit an article relevant to our Institute's range of interests, please contact Rabbi Marc Angel at mdangel@jewishideas.org and present a short precis of the topic you'd like to address. The Institute is happy to share the work and ideas of members of our University Network through our website (jewishideas.org) and emailings. This year we celebrate Rabbi Marc D. Angel’s 50th anniversary of rabbinic service. Contributions will be listed in a special issue of Conversations and the anniversary scroll. Contributions can be made here. 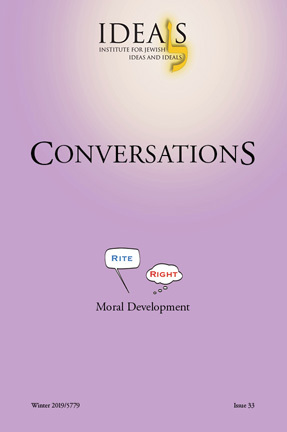 Find out more about Conversations, the Institute's print journal, including how to get your copy. You can also review our Article Title or Author index. 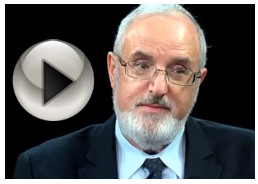 Rabbi Marc D. Angel answers your questions on our YouTube channel!